Chakras are the energy centers in the subtle body that influence all aspects of our lives, health and well-being – physical, mental and spiritual. These storehouses of power also hold the key to unleashing the best and the highest potential in us. Understanding the Chakras and their influence over us; how to cleanse and balance them as well as unleash the energy locked up inside them can have incredibly transformational impact on us. In this workshop, we will explore the seven principal Chakras in the body, their areas of influence, their imbalance and balance and some techniques to balance the Chakras. This workshop involves meditating intermittently to Chakra-balancing music. Come prepared by wearing loose and comfortable clothing. Bliss guaranteed! Kosten: 30 €. - nur mit Anmeldung! 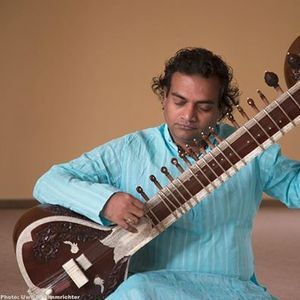 Ram Vakkalanka ist ein international bekannter Nada Yogi, Kirtan artist, Sanskrit Experte and Yogaphilosoph. Er war schon im Fernsehen und Radio und hat einige Bücher veröffentlicht. Wir haben Ram in Bad Meinberg bei einem Seminar kennen gelernt. Seine Musik ist authentisch und berührt vom ersten Augenblick an. 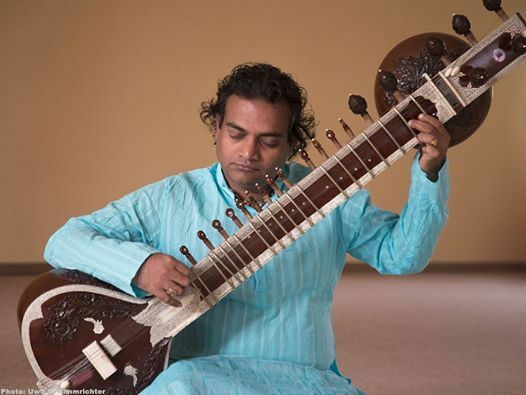 Eine einzigartige Gelegenheit die traditionellste aller indischen Musikrichtungen live und mit Sitar zu erleben. Er interpretiert die alten indischen Ragas auf eine, nur den klassischen indischen Musikern über viele Jahre angelernte weise.